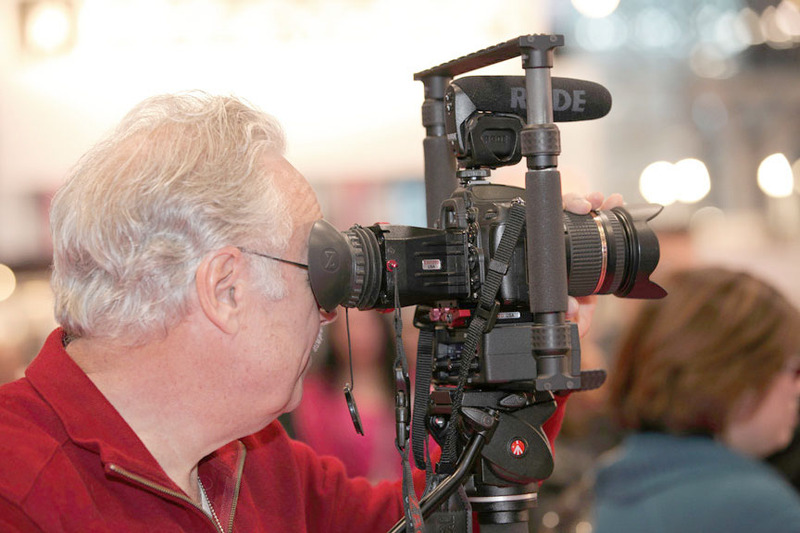 2016 PhotoPlus Expo NYC is the most popular show for photographers both beginners and pros. This is the only show that offers the opportunity to photographers to actually see new products, handle them and talk to the experts about their products. Many wait for this show to bring in their gear to find out the best way to use it. Even I learn something new about my Nikon D7200 and its capabilities each time I go to the show. Of course thousands watch and listen to all the demonstrations, instructional seminars and product demonstrations that are available both on the exhibit floor as well as the closed-door sessions. We weren’t quite sure what to expect this year at the show. Over the past 15 years covering PPE, we have seen many companies come and go as the industry continues to evolve. A few short years ago it is estimated that over 90 million cameras were produced and sold, the last estimate I received was this number was down to 14 million. For the past 6 years, I have been making a major transition from writing and demonstrating how-to shoot better photos to writing and demonstrating how to make the transition to shooting video as well. Writing about the equipment needed and various assignments one might cover to gain the experience has been my goal. IPA members need to find new financial opportunities and the money was no longer only in photography, it was now in videography too. Now I am not talking about shooting weddings or events, shooting for YouTube and other online sites has become big money for many and I too have cashed in on this new revenue source. With social media being so important today and YouTube being one of the driving forces behind this movement, I began to shoot more video with my DSLR camera and encouraged others to do the same. With the help and support from photo equipment companies, I was able to learn and recommend products I actually used and tested myself. So the 2016 PhotoPlus Expo NYC was one of the best ways to actually see some of the latest gear and see other professionals in action. You simply can’t find all the information you need on the internet. You certainly can’t see the actual equipment or touch it on the internet, so the show is the best place to see the latest gear and ask your questions and get the right answers to your questions. I have been a fan and user of Dynalite Studio Lights for many years. I own their Uni400 and Uni250 for years. You can add a Jackrabbit power pack and not be tied to a cord to these studio lights. Now Dynalite has an even better solution for those that want to go cordless and want the freedom to take their studio lighting just about anywhere. Their new Baja line of monolights has all the bells and whistles and a whole lot more. Watch our interview with Dynalite president Peter Porumba who explains what these new units can do. Their AC powered 600 watt second Baja A6-600 offering a faster recycling time (1.3 seconds to full power), and a powerful 300 watt model lamp to the studio photographer. 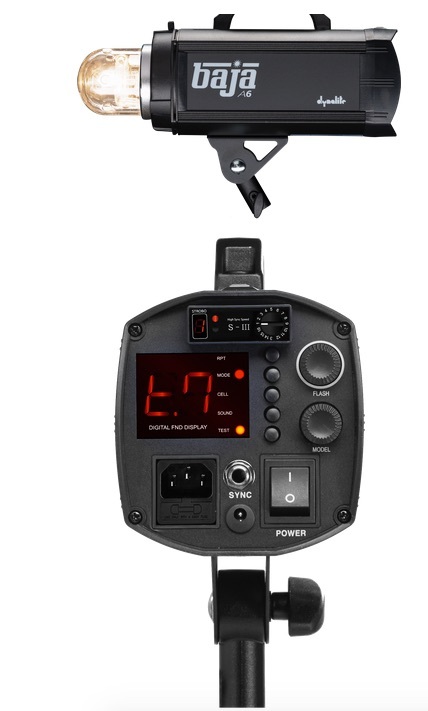 Weighing in at a mere 6.6 pounds, it shares many features with the battery powered Baja [‘B’] series with an optional remote power control using their BRT-616 Transmitter. See the power and ease of use of these lights. Will Smartphones and Mini Cameras Ever Replace Traditional Cameras? Smartphones, Mini Cameras ( GoPro, Nikon Mission 360) and other photo and video recording devices have now replaced many point and shoot, consumer and even pro cameras. This industry is evolving and we noticed many companies offering products for this new market. From snap on lenses, bags and accessories to new apps have now become important in our industry. We walked the floor of the 2016 PhotoPlus Expo NYC seeking new companies that offered new and interesting products for the growing video market. For the past 5 years or longer I have been moving from shooting photos to video and I have written a number of articles on how to make the transition. Many readers and our own IPA independent staff have also done the same. YouTube, Twitter Videos, Facebook, Instagram and many other websites have evolved over the years and the built in editing software has improved drastically. So today one must to be able to shoot photos and video for publication online with your mobile devices or your cameras. At 2016 PhotoPlus Expo NYC we interviewed Nikon and Canon to see their latest offerings. Our video demonstrates the move from traditional cameras to the new 360 degree and extreme mini 4K cameras like the Nikon Mission series to Canons newest mirrorless camera the Canon EOS M5. I would have ordered one, but discovered many complaints about the bluetooth pairing or lack of pairing to smartphones. So lets wait awhile, the hardware is true Nikon quality , the software not ready for prime time yet. I found it is always a good idea to wait for awhile on new cameras or electronics so they can iron out all the bugs. See And Enjoy 360 Videos On Your Computer? If you want to see one of their 360 degree videos then you should download it to your desktop, see how below. Once at that savefrom.net site you can download this or any YouTube video you like by simply adding the ss before the YouTube in their url’s. Of course you can go to the savefrom site and just paste in the url to any video and it will download them for you as well. 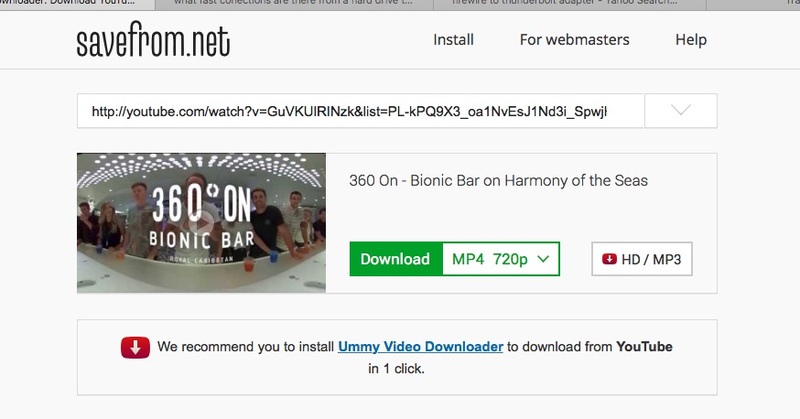 No need to buy the Ummy Video Downloader, just click the download link in green. Now to see it in full 360 you need a viewer so go here to get the GoPro VR Player 2.0 – Install it, open it and select your video…truly amazing as you use your mouse to see the entire 360 degree video. As we reviewed the exhibitor list of 2016 PhotoPlus Expo NYC prior to the show, we noticed a new name, it was Sound Shark Audio. Sound Shark manufactures a smaller Parabolic Mic, only 9″ in diameter and similar to the larger ones you see on the sidelines of all the major sporting events. This smaller version can magnify sound 6 X that of a conventional mic. The lapel mics used can pick up sound from 30′ away and can offer the same sound quality as if the mic was only 5′ away from the subject. This then becomes the perfect solution for those that want to capture sound where a shotgun mic just won’t do. Their mics are based on the same technology that television networks have used to pick up the on-field sounds of professional sports for many years. Klover Products, their parent company, made the parabolic microphones used at the 2014 Super Bowl and the 2014 World Series. So now videographers shooting events, weddings, nature, sports, production companies, Go Pro videographers and others can now use these new mics to capture sound that they could never record, even with expensive wireless mics. The quality of the units are exceptional, can’t wait to use mine. Needless to say we will be using a SoundShark on my upcoming assignment on the new and largest cruise ship in the world the Harmony of the Seas. Imagine not having to mic a subject, deal with mic cords or hiding a lapel mic. 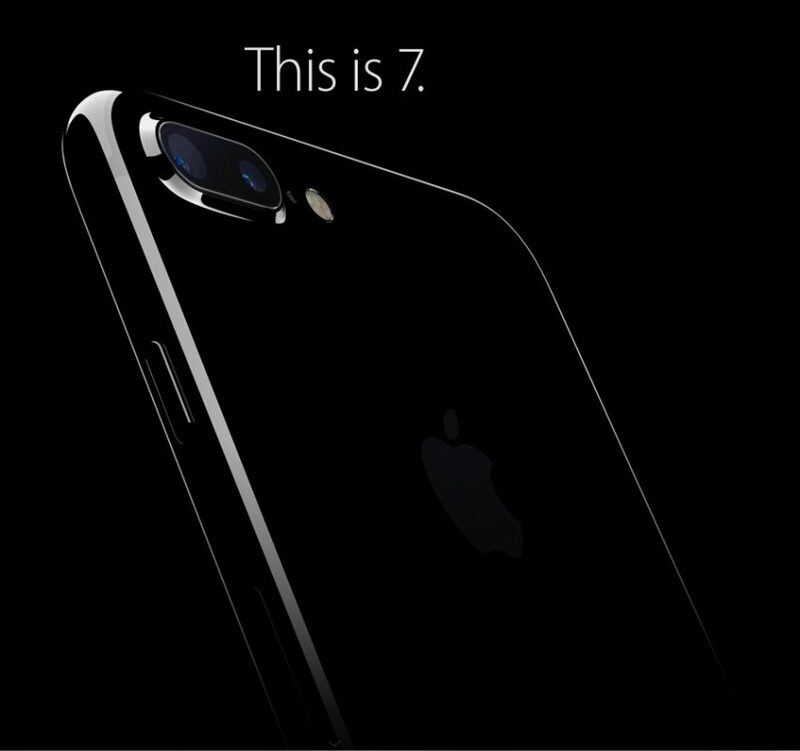 Love the product will report about it in my upcoming article and videos. Visit our website and find out more about membership. You can make money shooting video and as long as the videos continue to get views, you continue to make money. It is important however to have the right equipment and that is why I cover the PhotoPlus Show and continue to upgrade equipment and Learn By Doing, the IPA mantra. As president of the International Press Assoc. it is my job to help our members so they can earn a living in the one thing we all have in common our love for photography. So covering a show like 2016 PhotoPlus Expo NYC and earlier shows was the best way for me to get the experience with this new equipment and actually show our members and followers what they should use to obtain the same results. Having media access to many events including exclusive trade shows and media events gives you the opportunity to actually build your portfolio while learning how to shoot professional videos and photos that you might not have. 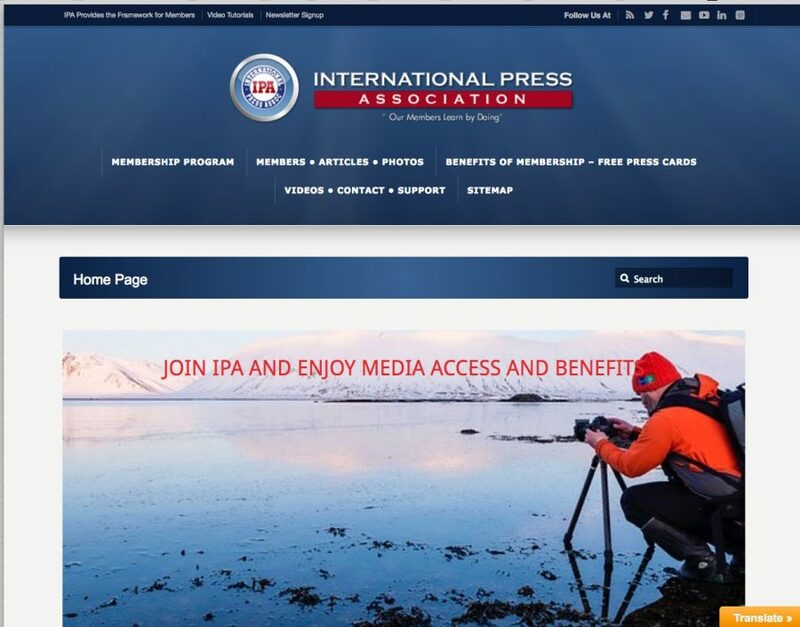 IPA offers a Learn By Doing Program and our independent staff members have the opportunity to build a powerful profile on our online publication IMPress Magazine and on our member site International Press Association. With 27 years of experience helping our members to succeed and to improve their skills is why we have succeeded over the years while others have not. Join us at IPA and see why our members have been with us for many years. Now most of my readers already know I am a Nikon guy and shoot a Nikon D7200 for my stills and video photography. You can see how crisp and sharp the images are in my videos and how great the sound quality. Although you can record sound on most cameras, you don’t have the control you need. 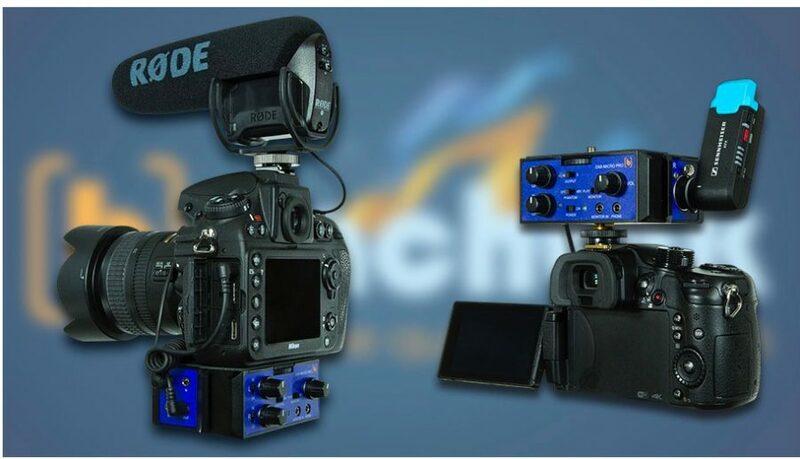 The Beachtek units will give you all the sound control you need no matter what camera you use. I use the Beachteck DXA-SLR Ultra Audio Adapter and their newest compact unit the Beachtek DXA Micro Pro. The new Micro Pro enables me to use pro RODE XLR mics like their Reporter and their Rode Video Mic which has is a 3.5mm plug in the same unit without any adapters . The clean audio is then fed, corrected and amplified back into the camera. I am able to monitor the levels both through the cameras display as well as the Beachtek unit. I trust the Beachtek for these critical assignments and not sure what I would do without them. Now the reason I mention them in this article even though they weren’t at the 2016 PhotoPlus Expo NYC is because I wanted you to know how I achieve the great audio and video that you see in this article. Visit their website and see the great products they make and read the information on how to record sound properly. I can attest to the fact that the quality is excellent and they are built like a tank.